These instructions show you in detail how to bead your own versions of my Reversible Rivolis. 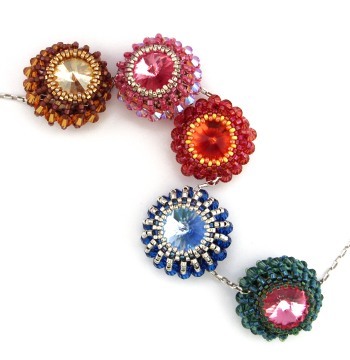 This complete 5 page step-by-step tutorial contains all the instructions, diagrams and photos you will need to make your own dazzling pendants which can be beaded with different colours on each side to help you ring the changes. A knowledge of peyote stitch (especially circular) is needed. This project is more suited to a non-beginner or someone who is looking for more of a challenge. 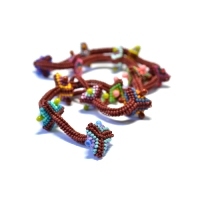 A more basic set of instructions for this project was published in issue 18 of Bead magazine.